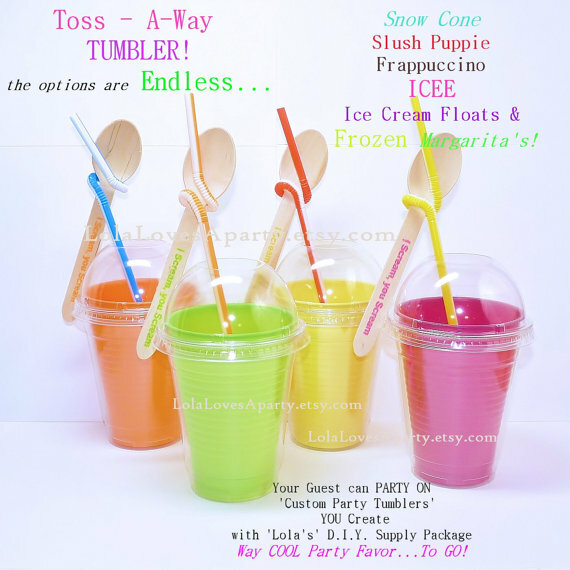 Ice cream birthday party | That's Greene With An "E"
I SCREAM* YOU SCREAM* WE ALL SCREAM! FOR OUR 6 YEAR OLD GREENE! 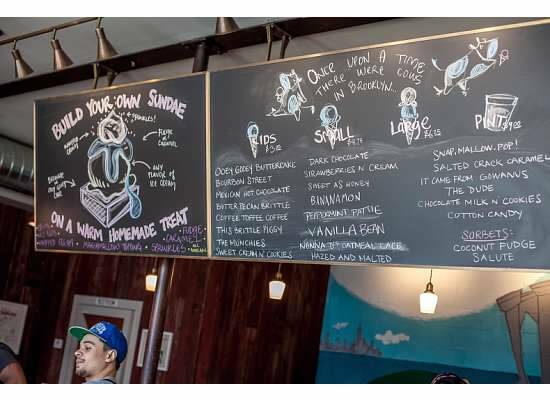 We just celebrated Lady C’s 6th birthday at Ample Hills Creamery in Brooklyn and it was such a great time that we just had to blog about the experience. 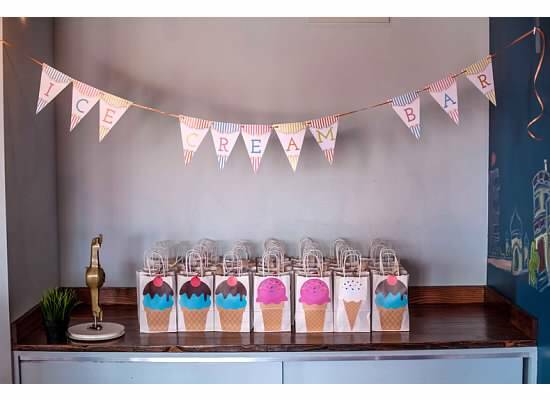 We love love love to throw kid parties and this year had an amazing ice cream themed party at the bestest ice cream shop in the city. There is nothing we enjoy more than selecting a theme and then stomping it into the ground until you can’t forget it. 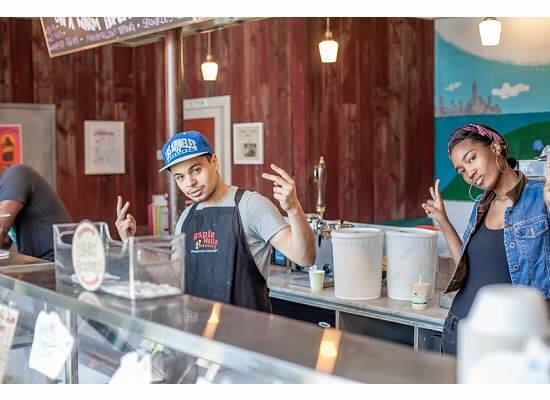 We selected Ample Hills because it is a popular spot with a roof top deck and private party room. 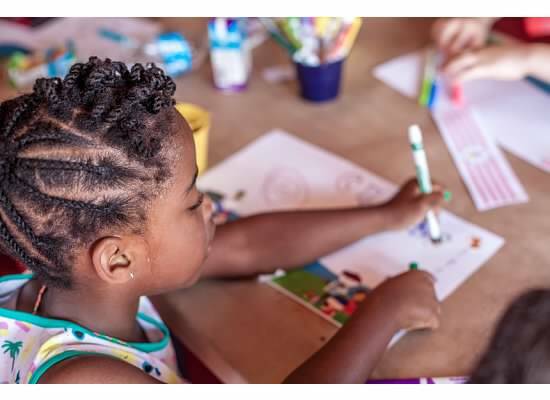 Since Lady C’s birthdays tend to be on warm days (and it was HOT this year) – the kids were able to enjoy the private room and the outdoor space. Of course – any party is not possible without a dream team of friends and family helping out. A few thousand balloons might have flown away after being carefully tied to the roof (*clears throat*) but the place still looked great! 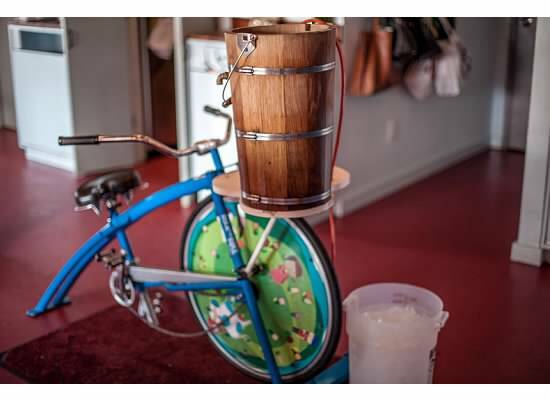 The central activity of the party is that the kids make their own ice cream using the Ample Hills Ice cream bike. 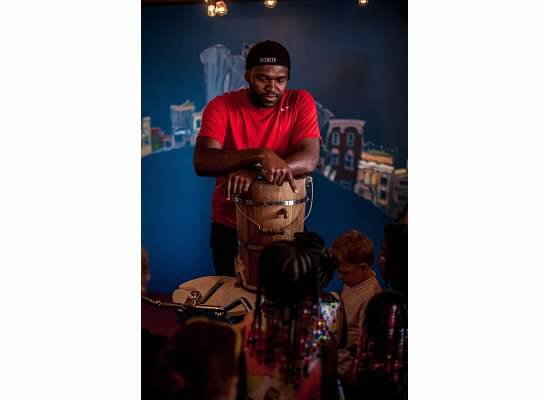 The children learned about how to make ice cream, what ingredients to use and how they would use the ice cream bike to mix all the ingredients. Each kid had the chance to use the ice cream bike to pedal their hearts out and got a picture on the bike to take home as a souvenir. While the ice cream set in the freezer, the kids made place mats which were laminated for them to take home. 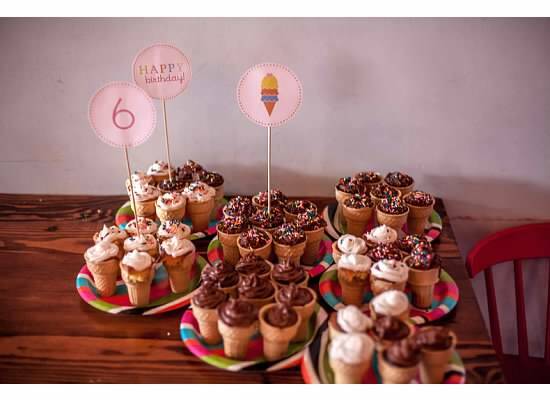 For this party we could not have normal cupcakes… no no no… We made cupcakes in ice cream cones! Such a hit and easy to make, after we messed up the first batch. Here’s the recipe for how to make these fun treats. THANK YOU PINTEREST FOR MAKING US STARS!! The kids had the chance to eat their own ice cream decked with toppings of their choice and the adults – well, they ate plenty of ice cream too. 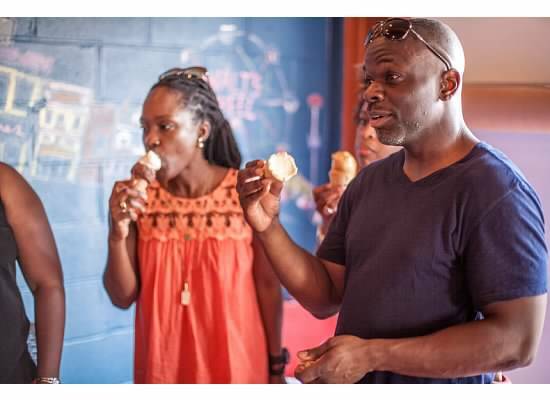 Truth be told, between the ice cream, wine and great music – we think the adults had as much fun as the kids! So the kids had ice cream and pizza and cupcakes and they danced and they ran and had a blast. When all was said and done, it was time to give out the favors from our “Ice Cream Bar”. 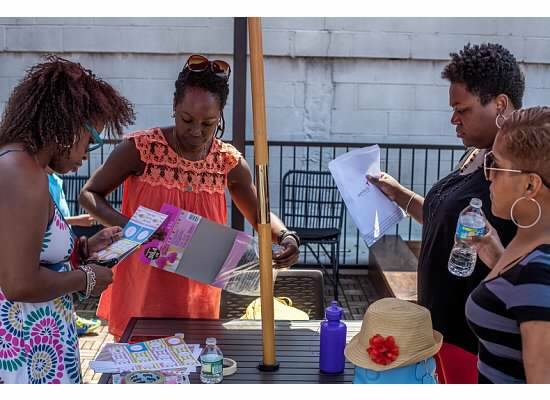 Each child received a bag filled with a tumbler, ice cream erasers and ice cream tattoos. Lady C has two wonderful godmothers and both of them helped with the party this year. One of her godmothers lives in Charlotte, NC and she tries to fly up each year to celebrate with us. This year she joined us for the ice cream party and also Lady C’s school birthday celebration. She braved making the ice cream cake cones with us and dealt with partyzilla parents… thank you Godmommy! We highly recommend Ample Hills as a birthday party spot. Highly professional and organized and they made this a fun and easy day. 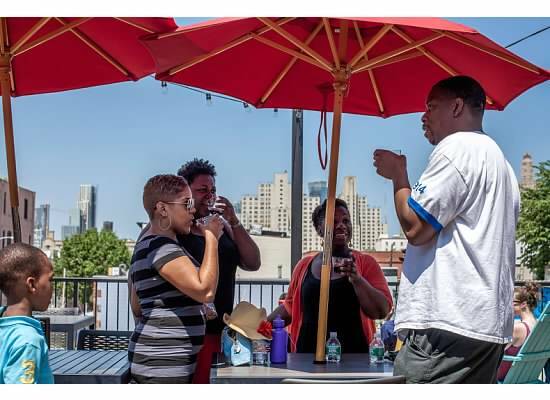 We had our party at the Gowanus location (they have a few spaces) and the roof top deck was a great bonus feature. 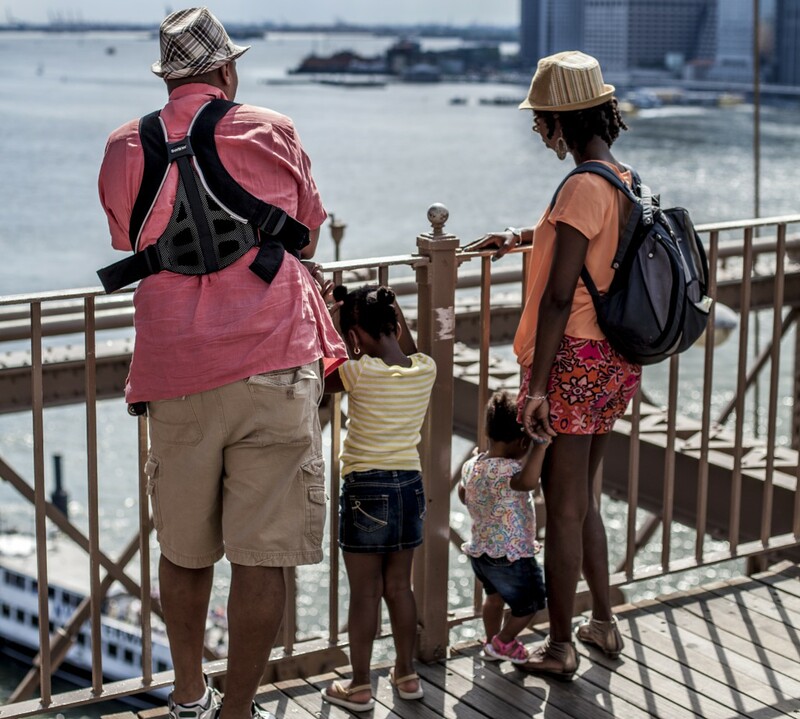 Parents were able to have a seat under an umbrella and enjoy some ice cream and wine. 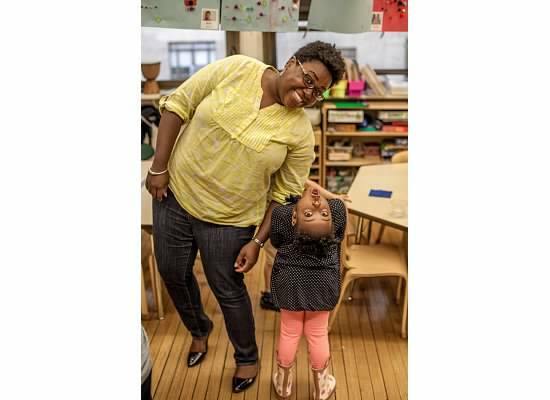 If you have any fab birthday party locales in Brooklyn – please do share below!